Pierre Condamine from Zero Waste Europe analyses European implementation of deposit return schemes, explaining how they could be used to solve the plastic waste problem. 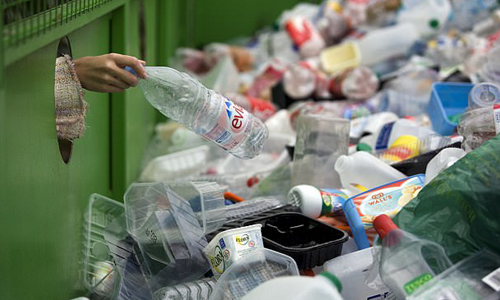 Are deposit return schemes the solution to plastic waste? Following the release of the new Waste Framework Directive and the ongoing discussion about the single use plastics directive; circular economy and recycling are hot topics at the European level. Among the solutions explored, deposit return schemes (DRS) have proven to be efficient systems to collect plastic bottles – among other items – in order to reuse or recycle them. Hence, they are commonly being considered as part of the waste solution that should be implemented across Europe. Deposit return schemes are systems where consumers buying a product pay a small amount of money which will be reimbursed when they bring the container to a collection point once they have finished using it. The container can then be recycled and transformed into secondary raw materials. The majority of the time, it is either operated by a governmental entity or by an independent body. The organisation in charge oversees the process, with the installation of the necessary infrastructures and the efficiency of the deposit fee circuit: from producers to retailers, retailers to consumers and the other way around. This system is an application of the polluter-pays principle, where people are economically incentivised to recycle rather than waste. It is mostly implemented to collect and recycle beverage containers made of plastic, metal and glass as they can be easily transformed into secondary raw materials. Usually, the fee paid for each item ranges from €0.10 to €0.50, depending on the type and volume of the container. Why should Europe roll out more deposit return schemes? There are many benefits of implementing DRS. The first and most obvious one is the environmental benefit. By putting a financial incentive to bring containers back for recycling, rather than discarding them, deposit return schemes ensure that more materials can be kept in the system. In terms of quality, DRS provide high outputs as they rely on separate collection, and therefore provides high-quality materials, allowing bottle-to-bottle recycling. This leads to a reduction of both discarded waste and natural resources extraction — as producers have access to a larger amount of secondary raw materials. Plastic bottles are one of the biggest contributors to the plastic pollution crisis, having a strong impact on marine biodiversity. Deposit return schemes then ensure that single-use plastic bottles will be collected, instead of being discarded. Therefore, DRS can significantly contribute to the implementation of the upcoming EU single-use plastic directive. Additionally, DRS bring in fiscal and economic benefits that complement the environmental one. For example, producers can lower their production cost by using recycled materials, which is cheaper than extracting and processing new ones. In Europe, until now, 10 countries have already implemented deposit return schemes: Croatia, Denmark, Estonia, Finland, Germany, Iceland, Lithuania, Netherlands, Norway, and Sweden. All of which have achieved significant results. The least successful country is Estonia, with an 82.7% total return rate — including can, PET and glass — which is already higher than many countries in Europe. The most successful example in Europe is Norway, with an impressive 97% recycling rate for plastic bottles. Germany also has very high results, as it has the highest population and a broad DRS scope, targeting glass, plastic (mostly PET) and metal (aluminium) with 98.4% total return rate. The system was implemented by the ministry of environment in 2003 with a €0.25 fee per item, whether it is glass, metal or plastic. Although there are many benefits to the implementation of deposit return schemes, there are also disadvantages. The first clear one is the costs of implementation and functioning of the system. For the country, region or retailer implementing it, it means installing enough collection points to make the collection possible everywhere. Those collection points are often reverse-vending machines that can cost more than €15,000 just to install. Added to this primary cost, transport, maintenance, and administration of the system also constitutes significant expenses. For suppliers, DRS imply that the product costs will inflate because of the deposit fee, which can lead to a decreasing demand. Another disadvantage is that most of the time, it is consumers who bear the costs resulting from deposit return schemes, as they represent the final link in the chain. Then, on a more theoretical basis, deposit return schemes rely on a production of waste that should not exist in a zero waste society. If they ensure high rates of collection for recycling, one should not forget that recycling has an energy cost, and that waste prevention and reuse should always be preferred over recycling, as stated in the waste hierarchy approved at the EU level. If today we mostly hear about deposit return schemes for recycling, DRS for reuse — for glass or plastic bottles — should also be considered. Those schemes, widely in use until the 1980s, are still implemented in some countries such as Germany, Spain and Belgium and mostly in the HORECA sector. If we take a look at why this stopped, there are three main reasons. The first one is the development of plastic packaging at an industrial scale. Plastic as a light, cheap and single-use material requires a treatment process less complicated than glass deposit. Along with the plastic rise, the development of extended producer responsibility schemes in Europe lead to the abandonment of the deposit return schemes, as they required less logistic and financial involvement from the companies; instead of monitoring and regulating the whole process, producers just have to pay a fee to a Producer Responsibility Organisation that will take care of everything. On top of that, deposit schemes were seen as contrary to European free-trade agreements, as they operate at a local level. However, as plastic pollution is a hot topic, DRS are becoming trendier again, and some countries such as France are considering the application of this kind of scheme at a national level. Yet nowadays, as recycling is at the core of the European debate on waste, and because deposit return schemes implemented in Europe resulted in the highest collection rates, recycling schemes are more considered than reuse schemes. In that sense, promoting recycling schemes for plastic products — as it is made for the recycling of plastic bottles within the single-use plastics directive — is a good way to encourage people to recycle more. When it comes to incentivising plastics recycling, financial incentives have often proven to be the most efficient way. Yet currently, those schemes only apply to plastic products made of PET or HDPE, and not to other types of plastic. Although widening the scope of those schemes to other types of plastic would be a first step, this is very unlikely to happen, because it would be extremely heavy and expensive to implement, as it means clear traceability of every plastic product. However, ensuring that every type of plastic is separately collected in order to be recycled would be a first step. To conclude, it is certain that on a short-term basis, having more deposit return schemes in Europe would benefit the circular economy and recycling in Europe. Besides, in the Water Framework Directive, the Commission strongly advise to implement these kind of schemes to reach the collection target for plastic bottles. Nevertheless, on a long-term basis and hinging on the aim of going zero-waste, some of those recycling schemes could be replaced with reusing schemes, as supply-chains are shortened. Based on the waste hierarchy, emphasising recycling is a good first step, as incineration and landfilling are still the norm in many countries. Nonetheless, producing single-use products to recycle them has a high environmental cost, and the trend should go towards prevention and reuse instead.